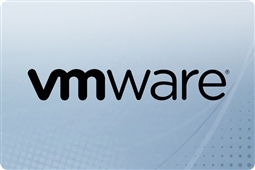 Get the best VMware vSOM 6 Standard Support Basic and Production subscriptions here! VMware vSOM 6 Standard Support subscription offer the best in coverage for Small to Medium Size Businesses (SMBs) seeking technical support, maintenance, and update coverage for their existing vSphere with Operations Management Standard subscriptions! VMware vSOM Support licenses give coverage and technical support guidance for key vSphere with Operations Management 6.0 Standard features such as efficient storage, vSphere High Availability, network services, platform automation, adaptive and intelligent operations management, cloud API integration, and so much more! Aventis Systems carries both VMware vSOM 6 Standard Basic and Production service and support subscriptions. What are the differences between the Basic and Production Support services level agreements? VMware vSOM 6 Standard Basic Support subscriptions provide comprehensive technical support by phone or email coverage Monday through Friday and 12 hours per day (VMware published operating hours) for up to 4 administrators! VMware vSOM 6 Standard Production Support subscriptions provides all of the coverage of Standard plus an additional 2 administrators (up to 6 total) and 24 hours per day, 365 days per year technical support as well as access to knowledge based articles! All Aventis Systems VMware vSphere with Operations Management Support subscriptions come in either 1 year or 3 year service terms, and are delivered via electronic download for your convenience! In order to successfully link your new support agreement with an existing VMware vSOM license you will be required to provide your VMware contract ID as well as the connecting email address to tie support to your existing license. So browse our products below and bring the best in vSphere 6 with Operations Management support coverage to your business today with VMware vSOM 6 Standard Service and Support subscriptions!